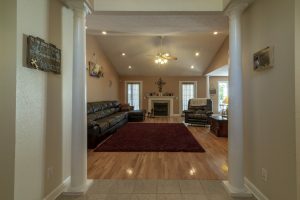 The 2-story foyer welcomes you upon entering this 2003 built home. 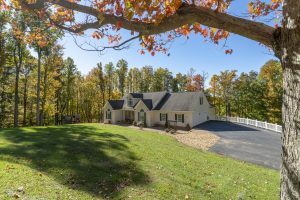 It is a spacious area and opens to the great room, which is highlighted with a gas log fireplace and vaulted ceilings. Access to the expansive deck off the great room makes for easy indoor/outdoor entertaining. Fall in love with the spacious kitchen featuring warm oak cabinetry and new counters. The smart layout makes serving simple with easy access to the dining room, great room, and outdoor deck. 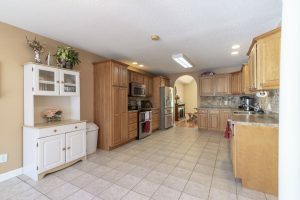 The bright breakfast area in the kitchen is the perfect spot for enjoying your morning coffee and watching the birds and squirrels play in the trees in the backyard. 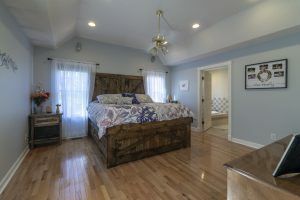 The split bedroom design allows for a true master retreat complete with walk-in closet, large tiled shower, and separate jetted tub. 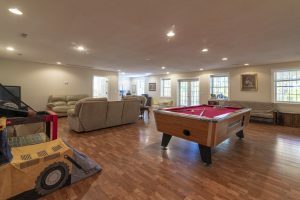 Many options for the large lower level with a full bath…playroom, den, office, hobby area, teen hang-out, etc. If you need a nice work space, look no further as the lower level also features a heated workshop and separate office with wood burning fireplace. 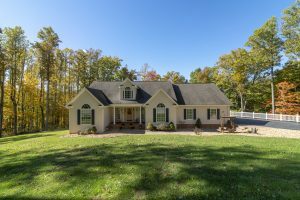 539 High Meadows Drive offers plenty of outdoor space for pets, yard games, and even has a tree house for kids to enjoy. Don’t let this home slip away, call to schedule your tour today!